Living in a city has an enormous amount of perks. Shopping, dining, culture, and more are always right within your grasp and it’s easy to become accustomed to the trappings of urban life. However, despite the many green spaces that are located within city limits and offer ample opportunities to experience the great outdoors, it’s not always easy to incorporate those elements into an urban home. However, if you’re planning to renovate your house or apartment or you simply want to update your decor with a more natural feel those things are easily accomplished. Whether you’re contemplating major changes or not, adding a natural feel to your space is much easier than one may think. If you want a beach theme or you’d like to feel as if you’re deep in the forest when sitting in your living room, these tips can help you make the changes you need in order to bring the outside in. Gone are the days of white walls as a canvas for your home. More and more designers and decor experts now recommend painting your walls with color to add depth and dimension to a room, and these colors can also dramatically change the atmosphere of your home. Most of the major paint brands have online tools that help you determine what colors are complementary and will look best in your space. Play with blues and greens if a tropical feel is what you’re after, or try shades of brown and gray to mimic the colors of the earth. No matter what colors your choose the results are going to be much more natural than you expect. If your home renovation includes a change in flooring, you’re in luck. You’re no longer limited to carpet or tile, and if your home isn’t blessed with natural hardwood flooring there are ways to replicate that beautiful look and feel. 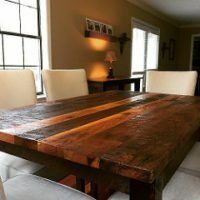 Reclaimed wood is always going to look beautiful on your home’s floor, but the price tag can scare many people away. Consider innovative bamboo laminate flooring for a true outdoorsy feel. Not only is this type of flooring durable and beautiful, but bamboo is also a very sustainable and environmentally friendly material so you can feel good about your choice. 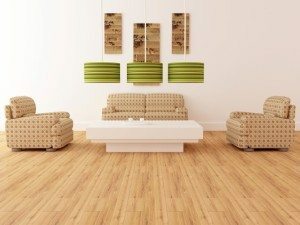 Bamboo flooring also comes in a variety of colors and grain styles to perfectly accent your space. Windows are incredibly important to give your home the more natural look you’re craving, but the wrong windows can directly inhibit that look as well. If your windows are old or improperly sealed you’re also losing money on your heating and cooling costs. Consult with a contractor about new, energy-saving windows that also fit with your new design theme. Wide windows, especially on south facing walls, let in more light and serve to highlight the rest of your natural decor. Also consider bushes or trees near ground floor windows. The right furniture can go a long way toward achieving your goal of a more natural looking home interior. Whether your style is modern or rustic, furnishings crafted of natural materials will always serve to highlight your decor and make your space feel more inviting. Antique furniture is always a good choice, as is furniture crafted from reclaimed wood or rich leather. The true colors of wood also work well with a number of color schemes, so you don’t always have to decorate around your furniture. One of the easiest ways to bring more nature to your space is with truly natural elements. Bring out your creative side and decorate with twigs, leaves, flowers, and grasses. Not only is this incredibly easy to do, but you can also change your decor theme with the seasons. Visit your local nursery to investigate houseplants. Someone with experience in gardening can recommend plants that will work well with the amount of light you have in various parts of your home, and there’s nothing better than a bright green plant or beautiful flowers to make your space feel like the outdoors. Renovating your home to create a more natural environment is easy and doesn’t have to be expensive. Whether you just want simple decor changes or you’re taking on a complete renovation, creating your perfectly natural space in an urban home is a wonderful way to bring the outside in.